Eat Portugal is a great starter’s guide to eating in Portugal. The food of Portugal isn’t very well known outside of Portugal… at least, it wasn’t until the current wave of interest in Lisbon and Porto. Even now, even though most people know what a pastel de nata is, most visitors don’t really know what the Portuguese eat, and so, in 2011, Célia and Lucy decided to write this guide. Célia is Portuguese and, like every Portuguese person under the sun, is fanatical about food. She is a journalist and much of her time is spent writing about foodish things. She now also hosts food tours (with Culinary Backstreets). Lucy is a British writer and illustrator who has lived in Portugal since the last century. Her obsession with Portugal and Portuguese food is what most of her work is about. Eat Portugal contains a glossary all about what the Portuguese love to eat, dictionaries (Portuguese to English and vice versa) to help you understand menus and ask for whatever you want, recipes for many popular Portuguese dishes for when you get home, and a selection of restaurants and cafés in Lisbon and Porto and the Algarve that we love for their Portugueseness. 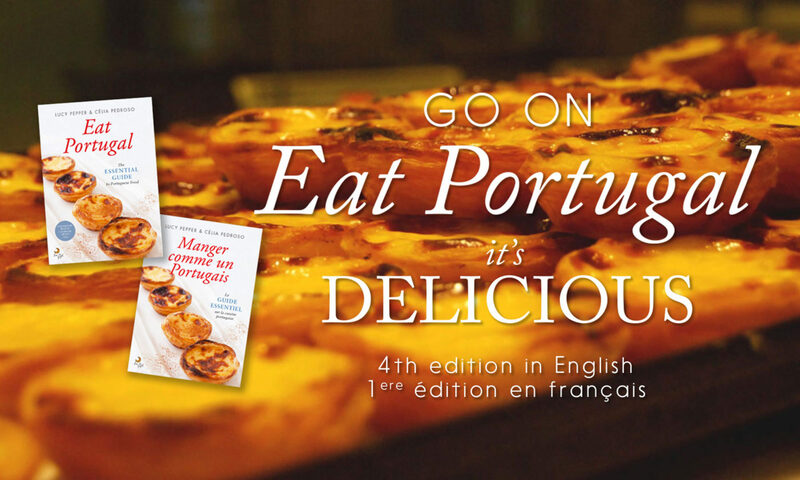 The 4th edition of Eat Portugal and the 1st in French are available in airports and bookshops in Portugal and online. find us on facebook if you want to ask us anything. If you are interested in food tours, Célia belongs to Culinary Backstreets. The tours are delicious, in depth introductions to Lisbon and the Portuguese culture. Book one today. If you want to contact our publisher, please contact Lua de Papel, an imprint of Leya.